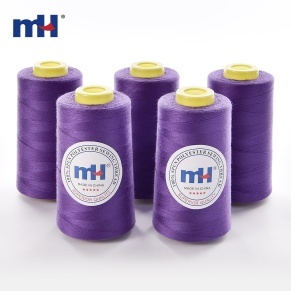 100% polyester sewing thread, resistance to abrasion, dry cleaning, bleaching and other detergents, prevents wrinkles and skipping. 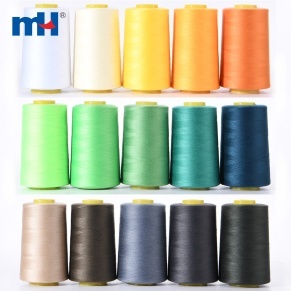 Common types of polyester yarn are: 20s/2, 20s/3, 30s/2, 30s/3, 40s/2, 40s/3, 50s/2, 50s/3, 60s/2, 60s/3 or TKT 120, 80, 50, 30, etc. 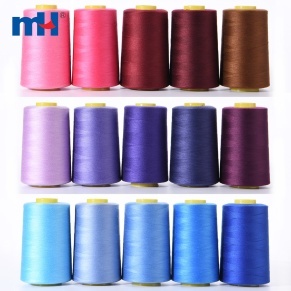 Uses for garments stitching, bed sheets linings, tapestry, dress making, general stitching or other art projects. 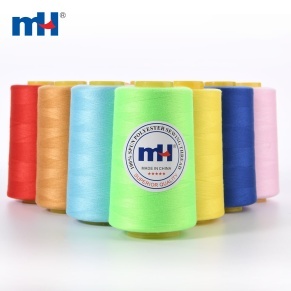 Thread can be applied by hand or machine.